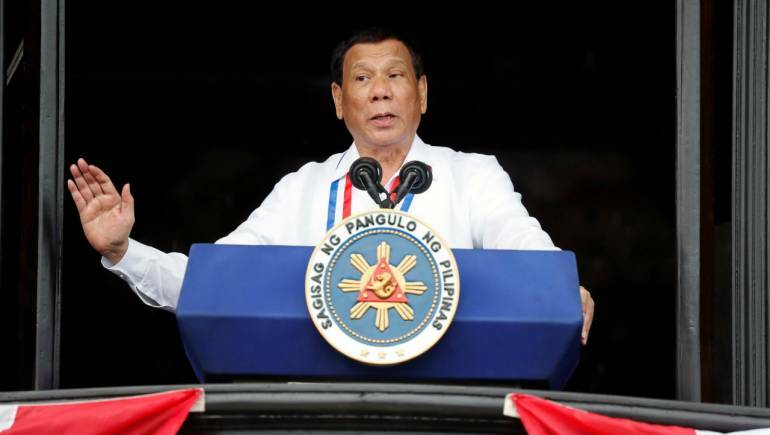 MANILA -- Malacañang on Thursday described the International People’s Tribunal (IPT) verdict finding President Rodrigo R. Duterte guilty of human rights violations as a “sham decision”, noting that it has no official sanction. "That’s a sham decision. It has no official sanction. The validity of the findings will depend on the credibility of the tribunals,” Presidential Spokesperson Harry Roque said in a Palace briefing. Roque, a former co-chairperson of the Philippine Coalition for the International Criminal Court (ICC), said he did not even know any members of the jury in the roster. “I do not know who sat there. They appear to be a propaganda body of the international left, if not the -- and therefore, we set it aside as being a useless piece of propaganda against the government,” Roque said. In international law, Roque said even if it is not official, the verdict could have a bearing, depending on the stature of the individual sitting there. “Tinitingnan ko iyong roster, hindi ko po talaga kakilala (I was looking at the roster, I really don’t know them). It’s really just a leftist who happened to be white, sympathetic to the Philippine left,” Roque said.